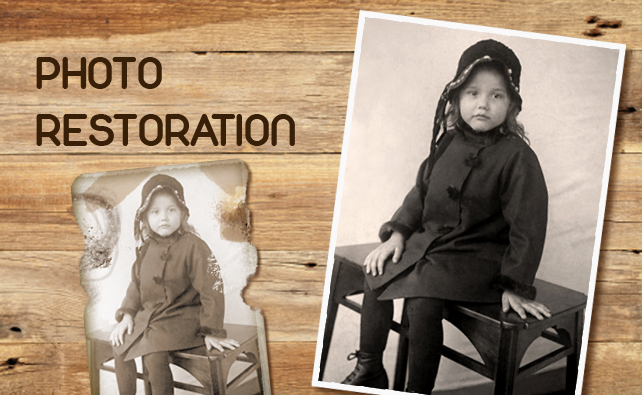 If you have old precious photos that are stained or torn, don’t worry we can help! At Foto Factory in Bromsgrove, our photo experts will take your cherished memories and restore them with our photo restoration service. Our specialists can brighten your favourite snaps, add colour to black and white photos or restore damaged photos that have been torn apart. Trust us, you’ll be amazed with the results! Pop in today and speak with our photo expert; and bring in the photos you would like restored and our team will explain what they can do for you with our photo restoration service. In the mean time you can order your photos online today!